A break since my last book review since I’ve been coding, rather than reading, on the commute into the ScraperWiki offices in Liverpool. 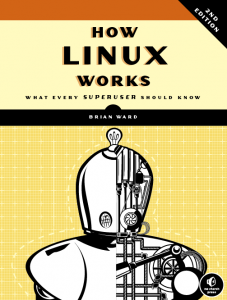 Next up is How Linux Works by Brian Ward. In some senses this book follows on from Data Science at the Command Line by Jeroen Janssens. Data Science was about doing analysis with command line incantations, How Linux Works tells us about the system in which that command line exists and makes the incantations less mysterious. I’ve had long experience with doing analysis on Windows machines, typically using Matlab, but over many years I have also dabbled with Unix systems including Silicon Graphics workstations, DEC Alphas and, more recently, Linux. These days I use Ubuntu to ensure compatibility with my colleagues and the systems we deploy to the internet. Increasingly I need to know more about the underlying operating system. I’m looking to monitor system resources, manage devices and configure my environment. I’m not looking for a list of recipes, I’m looking for a mindset. How Linux Works is pretty good in this respect. I had a fair understanding of pipes in *nix operating systems before reading the book, another fundamental I learnt from How Linux Works was understanding that files are used to represent processes and memory. The book is also good on where these files live – although this varies a bit with distribution and time. Files are used liberally to provide configuration. The book has 17 chapters covering the basics of Linux and the directory hierarchy, devices and disks, booting the kernel and user space, logging and user management, monitoring resource usage, networking and aspects of shell scripting and developing on Linux systems. They vary considerably in length with those on developing relatively short. There is an odd chapter on rsync. I got a bit bogged down in the chapters on disks, how the kernel boots, how user space boots and networking. These chapters covered their topics in excruciating detail, much more than required for day to day operations. The user startup chapter tells us about systemd, Upstart and System V init – three alternative mechanisms for booting user space. Systemd is the way of the future, in case you were worried. Similarly, the chapters on booting the kernel and managing disks at a very low level provide more detail than you are ever likely to need. The author does suggest the more casual reader skip through the more advanced areas but frankly this is not a directive I can follow. I start at the beginning of a book and read through to the end, none of this “skipping bits” for me! The user environments chapter has a nice section explaining clearly the sequence of files accessed for profile information when a terminal window is opened, or other login-like activity. Similarly the chapters on monitoring resources seem to be pitched at just the right level. 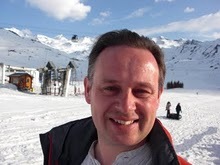 Ward’s task is made difficult by the complexity of the underlying system. Linux has an air of “If it’s broke, fix it and if ain’t broke, fix it anyway”. Ward mentions at one point that a service in Linux had not changed for a while therefore it was ripe for replacement! Each new distribution appears to have heard about standardisation (i.e. where to put config files) but has chosen to ignore it. And if there is consistency in the options to Linux commands it is purely co-incidental. I think this is my biggest bugbear in Linux, I know which command to use but the right option flags are more just blindly remembered. The more Linux-oriented faction of ScraperWiki seemed impressed by the coverage of the book. The chapter on shell scripting is enlightening, providing the mindset rather than the detail, so that you can solve your own problems. It’s also pragmatic in highlighting where to to step in shell scripting and move to another language. I was disturbed to discover that the open-square bracket character in shell script is actually a command. This “explain the big picture rather than trying to answer a load of little questions”, is a mark of a good technical book. The detail you can find on Stackoverflow or other Googling. 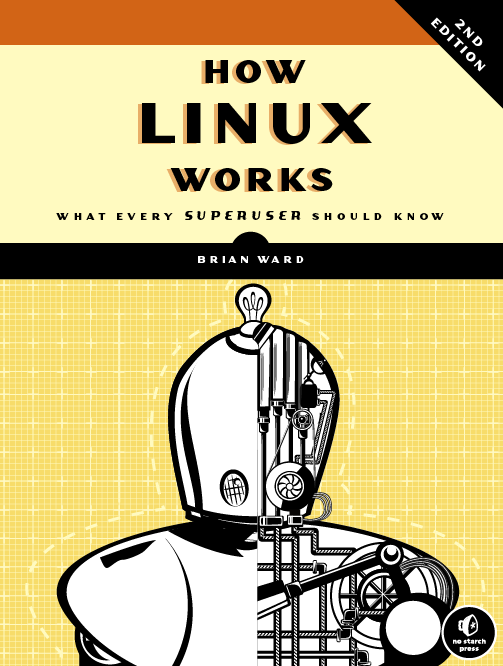 How Linux Works has a good bibliography, it could do with a glossary of commands and an appendix of the more in depth material. That said it’s exactly the book I was looking for, and the writing style is just right. For my next task I will be filleting it for useful commands, and if someone could see their way to giving me a Dell XPS Developer Edition for “review”, I’ll be made up.